The end of summer is always a slow time, what with people taking time off to enjoy the last gasp of these warm-weather months before things start up again and get busy. So what a fun bit of counter-programming the movie Premium Rush is. This brisk, action-packed story of a New York City bike messenger (Joseph Gordon-Levitt) caught in the middle of a suspicious delivery picks up the pace on these lazy days and gives the audience what feels like a quick cinematic shot of Jolt cola. That is to say, it’s a refreshing but not completely satisfying caffeine boost. 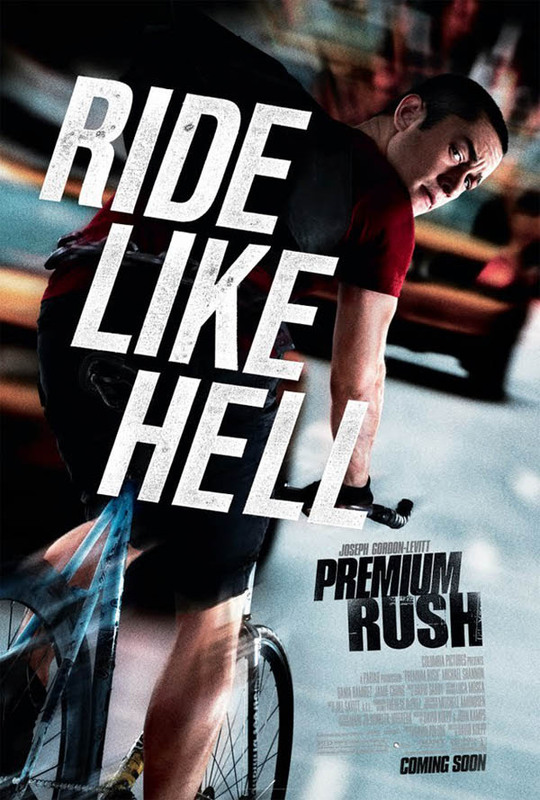 When the movie sticks to Gordon-Levitt on his bike, and shows with impressive camerawork how he zigs and zags around cabs, cars, and trucks, avoiding people and roadblocks, and thinking with split-second precision where he’ll go next, it’s pretty cool. Gordon-Levitt, one of the most likable and charming actors around right now, gives an engaging performance as Wilee, the good-hearted messenger who believes “breaks are death,” and lives for the thrill of the ride (after all, it’s not a gig that pays a lot). It looks like Gordon-Levitt enjoyed making Premium Rush; a short behind-the-scenes video during the closing credits shows that he performed at least some of his own stunts, and kept his good humor even in the face of injury. After serious roles in films like The Dark Knight Rises and 50/50, it’s nice to see Gordon-Levitt in a role that lets him loosen up a little bit. But when the movie gets off the road, it slows down both literally and figuratively. The film tries to complicate its (thankfully) simple plot by shaking up the timeline, but after so many other movies have done this, the device feels tired. And it doesn’t help that Michael Shannon, usually a reliably good actor (such as in Revolutionary Road), gives one of his weakest performances here. His overacting lessens the suspense of just what is so special about the envelope Wilee is transporting. 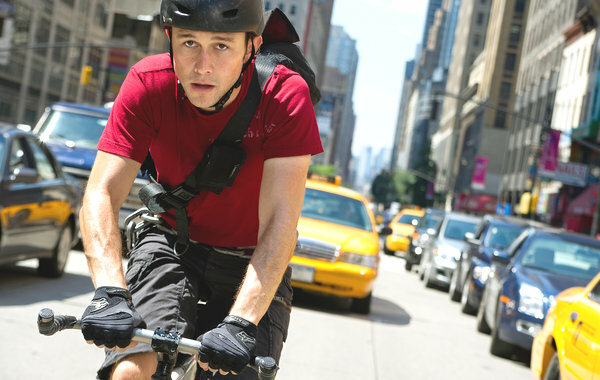 When it’s on the move, Premium Rush is a good time. So see it for those scenes, and use the downtime to chug more soda. I’m giving the movie a B. ← Happy 7th Blogiversary to Me!